The 1700 TR brings extra agronomic benefits to producers wanting to utilize the benefits of twin row planters. The 1700 TR integral planter mounts to the tractor's 3-point hitch with a rigid, non-flexing, non-folding frame. It is available in a 6 twin-row configuration in row spacings 36 or 38" on center. 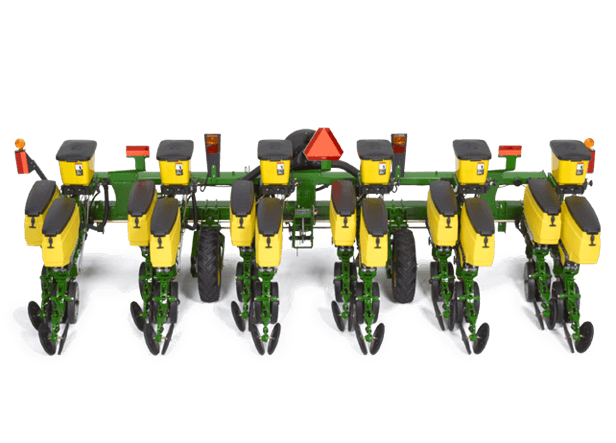 This 6x2 twin-row planter works in all conditions but is ideal for conventional or reduced-tillage field conditions. Peanuts, corn, soybeans, and edible beans are typical crops well suited for the 1700 TR Planter.